For all of us teachers that work on vocational guidance and counselling of students, it's essential that we use the latest resources concerning skill needed in a fast changing world. 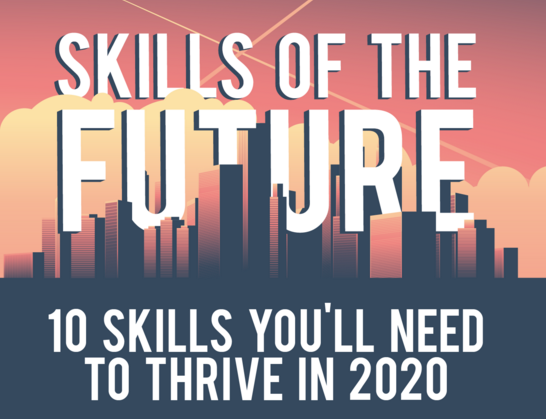 Truly worrying about how fast school curriculum changes to adapt to these needs and how well teachers are trained to teach these skills, I'm publishing the infographic of Guthrie Jenssen, as mentioned in the World Economic Forum post on the 10 skills you'll need to survive the rise of automation. 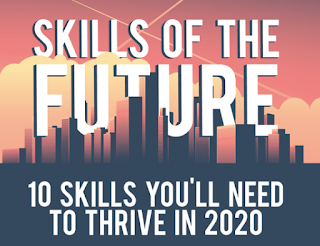 Reverse thinking: How could we block students from gaining these skills? By continue teaching independent subjects, in competitive instead of collaborating classrooms, without art that ignites creativity, without social and emotional intelligence courses to develop empathy, without keeping in mind sustainability. How much updated do we keep ourselves to new trends in education? What is our personal Continuous Learning Development?